FORT WAYNE, Ind. (WANE) - - To put it in gymnastic terms, Carroll stuck the landing. Ashelynne Steinke won the all-around title and led the Chargers to a runner-up team finish at state gymnastics. 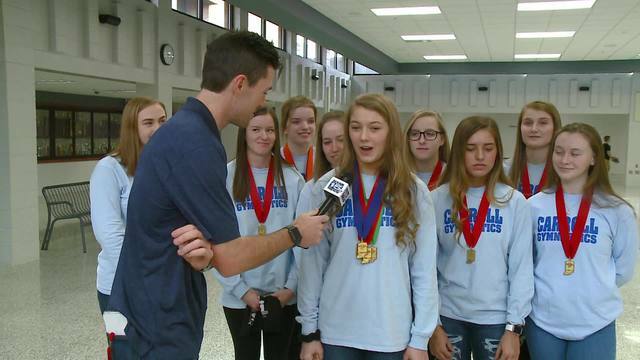 We are proud to honor Carroll as the Optimum Performance Sports Team of the Week. Both honors were surprises to Carroll even though the team knew they were capable of sucha a performance. After nailing the dismount on her final event of the day, Steinke broke down with emotion.